Graeme read Law at Cambridge University, having taken the 1st Lawson Medal for Classics in his final year at Manchester Grammar School and the Patchett Scholarship at St. John’s College, and was called to the Bar by the Middle temple in 1968. In the earlier part of his career he combined practice with academic lecturing, including lecturing in Land Law at the University of the West of England. He practises in the general field of chancery law including in particular mortgages, company shareholder disputes, partnership, covenants, easements, joint property, property trusts, proprietary estoppel, possession claims, title to land and adverse possession, neighbour disputes, wills and probate, succession, Inheritance Act claims, landlord and tenant matters including business and residential leases and disputes, restitutionary claims, injunctions and other equitable remedies; he also deals with agency and general contract and tort disputes. He is a qualified Mediator. Before moving back north Graeme was a committee-member of the Bristol and Cardiff Chancery Bar Association. 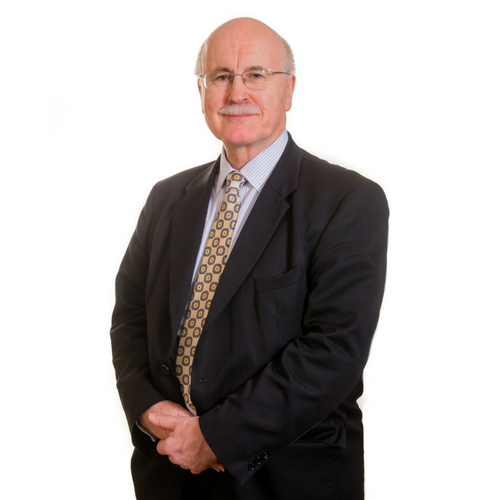 Graeme is an experienced barrister practising mainly in the areas of Chancery and Commercial Law including Inheritance cases. Without sacrifice of intellectual and academic standards as applied to legal rules and issues, he is acutely conscious of the need, especially in the mediation context, to look beyond the technical legal issues at the wider picture and its practical impact on the lives of the individuals involved. Graeme is enthusiastic about the benefits of mediation for many reasons: not just because of the potential saving of costs, time and stress, but because mediation empowers the parties. In litigation compulsion is the order of the day at every stage, and in the end the judge delivers a judgment from on high, which one or other of the parties (or even both) will not like. Mediation offers the parties the opportunity to co-operate to find a solution that everyone can live with. Graeme has a strong sense of the responsibility, and privilege, that the mediator has in helping the parties to find that solution. Graeme is a good listener – an often undervalued factor. For judges it is natural and for some lawyers it is all too tempting to want to dictate the agenda, but mediations frequently demonstrate how the things that matter most to parties are not the things that feature most prominently in the case as presented on paper. Often enough they are things that could not have been ordered by a judge if the dispute had gone to a trial. Graeme understands the importance of letting the parties tell their story. Graeme is positive in his approach to all challenges and problems and naturally encourages a positive attitude in parties towards searching for a solution to their dispute; that of course includes facing difficulties realistically. Graeme can combine sympathy for the feelings of frustration and bitterness that can often accompany a dispute with an ability to emphasize firmly the benefits of finding a long-term solution that will enable the parties eventually to put those negative feelings in the past. Graeme’s training as a mediator is in the school of thought which sees the mediator as essentially a catalyst, assisting the parties to move and work towards a solution that both or all sides can see as workable and fair, rather than seeking to impose his own views; but he sees that as entirely consistent, especially in private session with any one side, with inviting the parties to think outside the box or putting questions which may robustly challenge their assumptions about the strength of their own case. Graeme has experience of conducting mediations in the fields of commercial debt, commercial equipment hire and Inheritance Act claims. Graeme frequently deals with mortgages as part of his property and chancery practice. He advised and acted for a number of farmers who were victims of an apparently systematic scheme by a mortgage lender to tempt farmers in financial distress to take short-term loans on very expensive terms with an unwritten understanding that they would be followed by long-term mortgages at High Street rates. These cases raised common issues including fraud, misrepresentation, unconscionable terms and relief under the Consumer Credit Act 1974. He acted for Mrs. Grimes in the Court of Appeal authority which established that relief under s.8 of the Administration of Justice Act 1973 and s.36 of the Administration of Justice Act 1973 is available in the case of endowment mortgages: Bank of Scotland v Grimes Q.B. 1179. Graeme’s practice includes advice and litigation in the fields of contract including sale of goods, insurance, agency and partnership; shareholder disputes; making and resisting applications for injunctions and damages in lieu of an injunction; and professional negligence in particular in the case of solicitors, estate agents, surveyors and architects. He acted for a farmer whose farm had been sold by a land agent. It had been held, in favour of the third-party purchaser, that the farmer was estopped by the ostensible authority in which the agent had been clothed from challenging the validity of the sale. Graeme successfully argued that the farmer could nevertheless complain that the agent was strictly liable for breach of his actual authority. He represented majority shareholders in a steam railway preservation company who were accused of unfairly prejudicial conduct in failing to pursue the strictly economic best interests of the company. He argued that given the cultural purpose for which the company had effectively been formed it was proper to give that purpose priority over strictly economic considerations. The dispute was successfully resolved by mediation. He acted for two out of three partners in a solicitors’ firm when irreconcilable differences arose between them. He successfully steered the way through negotiations for a consensual winding-up order and, against opposition from the recalcitrant ex-partner, the eventual purchase of the assets from the receiver. Graeme acts for and advises both landlords and tenants in relation to business tenancies including their termination and renewal. He acts for and advises mainly landlords in relation to residential tenancies including applications for forfeiture, service charge disputes and applications for the appointment of a manager. He acts for and advises owners of land and buildings in relation to boundary disputes, possession claims, adverse possession, title generally, easements, covenants and claims of trespass, nuisance and negligence. His practice includes trusts generally, trusts of land, proprietary estoppel, wills and probate, succession and Inheritance Act claims. He acted and advised in a succession case where family members required a deed of arrangement that was complicated by the facts that one of the children was a minor, some of the assets were shares that attracted business property relief (making it desirable for them to be marshalled into the minor’s share) but needed to be sold, and one of the residences was in France, so English conflicts rules and French substantive law were involved. He functioned as part of a team including solicitors, specialist tax accountants and a French lawyer. He acted for the estate in a case which established that where damages recovered for personal injury included an amount referable to past services provided by a voluntary carer whose death preceded the award of those damages the relevant amount of the damages were held subject to an institutional constructive trust in favour of the deceased carer’s estate: Hughes v Lloyd  EWHC 3133 (Ch). Graeme is Accredited to receive instructions through the Direct Public Access scheme.